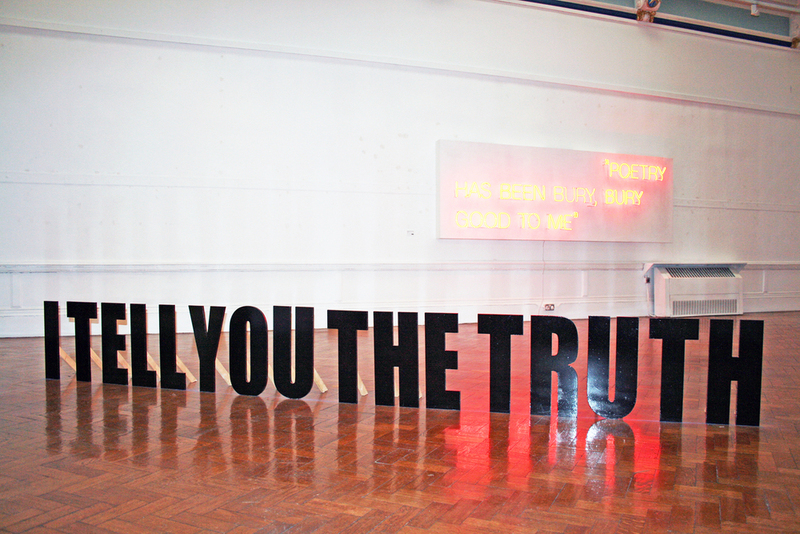 I TELL YOU THE TRUTH (2010) Floor based 3D text. MDF, paint, wood, screws, glue (dimensions: 0.5 m x 10 m approx). 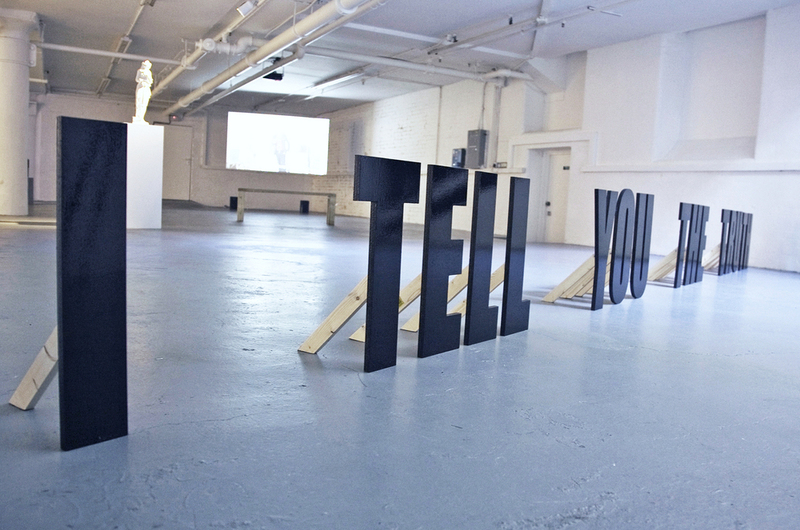 I TELL YOU THE TRUTH was commissioned for Murmur, a group exhibition at Waterside Contemporary, formerly Waterside Project Space (London). 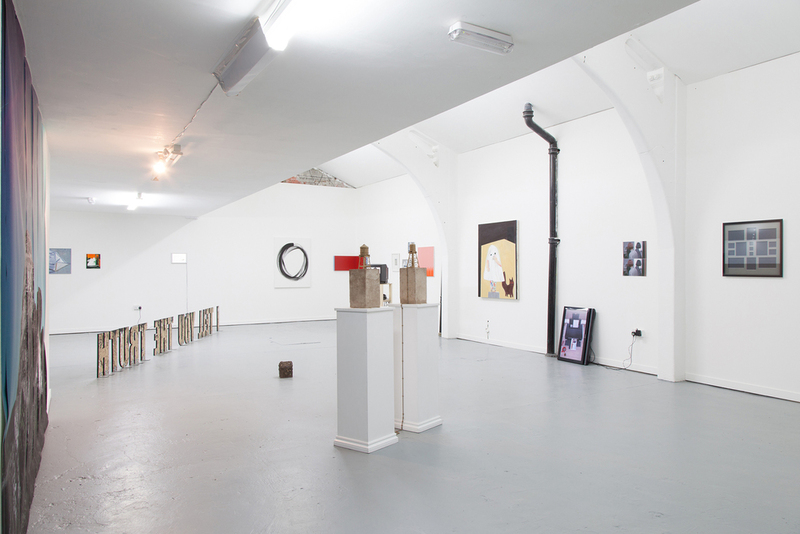 It has also been included in group shows at Motorcade/FlashParade (Bristol), and Bury City Art Gallery (Bury). 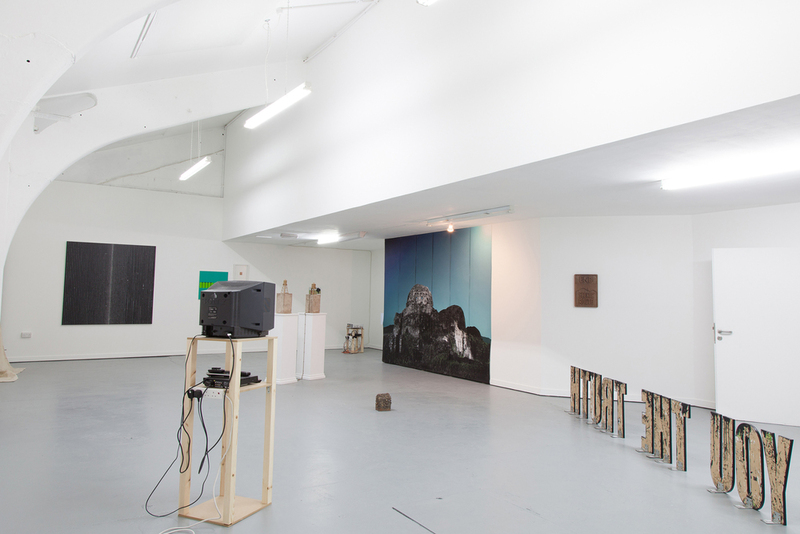 Images (top): Installation at Waterside Contemporary (London) Images: Courtesy Waterside Contemporary. Images (middle): Installation at Motorcade/FlashParade (Bristol) Images: Courtesy Motorcade/FlashParade. 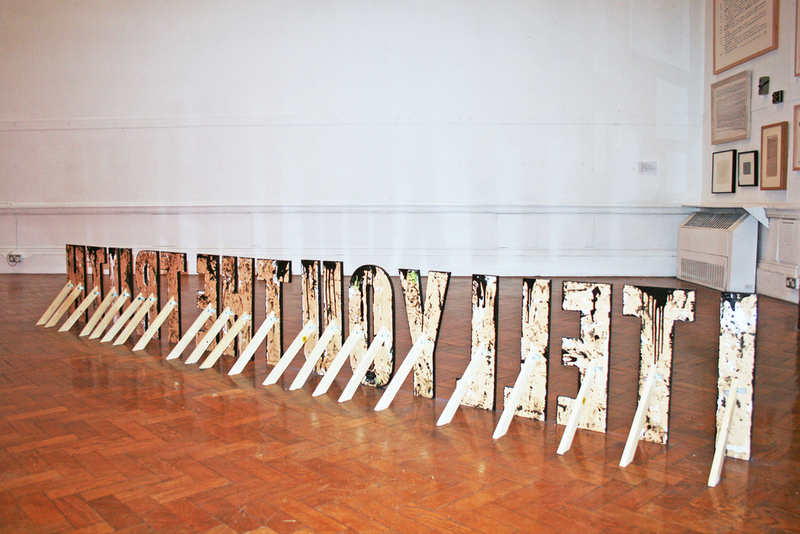 Images (bottom): Installation at Bury City Art Gallery (Bury). 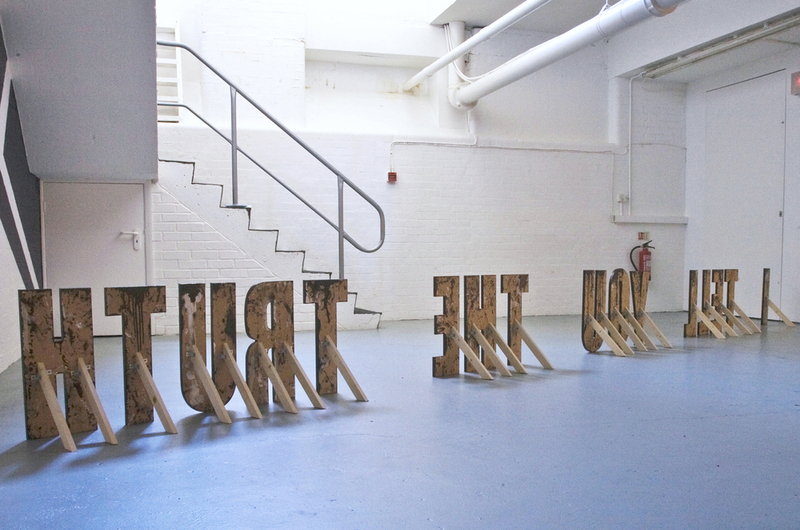 In I TELL YOU THE TRUTH (2010), Pickering presents a moral absolute. The concreteness of this statement is made convincing by the appearance of declarative, bold, black glossy letters. However, from behind, the means of construction are revealed - paint marks, screws and unstable wooden supports - all of which undermine the authority of the rhetoric employed.